"In recent years ... center-left intellectuals including Bruce Ackerman, William Galston, John E. Schwarz and Michael Tomasky have sought to define a body of principles that could inform a practical liberal politics. The newest addition to this literature, Paul Starr's Freedom's Power: The True Force of Liberalism, is a brilliant and ambitious attempt to provide a public philosophy for 21st-century American liberalism." 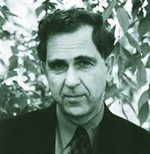 Michael Lind, Review in New York Times Book Review, April 29, 2007. And for a response, see Liberalism Versus Populism. "The quote comes directly from Paul Starr, one of our most formidable public thinkers, whose forthcoming book, Freedom's Power: The True Force of Liberalism, is a profound and stirring call for liberals to reclaim the idea of America's greatness as their own. Starr's book...in a just world would be on every desk in the House and Senate when Congress convenes again." Bill Moyers, "The Narrative Imperative," Tompaine.com, and "For America's Sake," The Nation, January 22, 2007. "Starr, a distinguished political sociologist, offers an eloquent restatement of the principles and promise of modern liberalism. In recent decades, the 'liberal project' in the United States seems to have lost its way, while conservatism has come into its own. Starr sets out to recover the guiding ideas of American liberalism and defend their relevance today. Part of his book is a sweeping intellectual history of 'constitutional liberalism' -- a retelling of the great movements of Anglo-American liberal political development, in which citizenship rights and limited government were secured. He argues that liberalism is not simply a set of principles about freedom and equality but a 'discipline of power' -- ideas about how to both control and create power. Accordingly, the singular achievement of liberalism has been restricting arbitrary power and thereby unleashing the ability of society to generate wealth, knowledge, inclusion, and opportunity. Starr acknowledges the decline of liberal innovation in recent the decades, but he resists the conservative charge that New Frontier and Great Society liberalism was tried and failed. To reinvigorate the liberal project, he urges a public philosophy of 'partnership,' which at home means moving beyond interest-group liberalism and abroad means a return to multilateralism and a community of democracies. Starr's contribution is to help restart the national conversation about the sources of American greatness." Review by G. John Ikenberry in Foreign Affairs, March-April 2007. "Mr. Starr deserves credit, especially from his fellow Democrats, for consistently framing his argument in terms of American strength and purpose, at home and abroad. ... the language itself is refreshingly optimistic and forward-looking, even Reaganesque. It is, if nothing else, a first step in the worthy effort to rehabilitate the "dreaded 'L' word." Gary Rosen, Review in The Wall Street Journal, April 12, 2007. "In this wonderfully thoughtful and thought-provoking book, Paul Starr offers the wisdom and courage needed to return America to its liberal roots and fulfill its liberal ideals. His call for a bolder and more confident liberalism—strong enough to reverse the widening inequalities and increasing insecurities of our people, and the go-it-alone bellicosity of our foreign policy— must be read and heeded." Robert Reich, former secretary of labor. Superb, learned, and couldn't be more timely, Paul Starr has provided a bold and immensely powerful statement of what liberalism is all about." Cass Sunstein, University of Chicago Law School. "Few words are misused and misunderstood more often than 'liberal.' At long last, we have a worthy definition. With eloquence, irrefutable logic, and deep command of the past, Paul Starr returns liberalism to where it belongs: the mainstream of American history." Edward Widmer, director, John Carter Brown Library, Brown University. Written with quiet passion and historical learning, this illuminating book offers important instruments to revive the liberal tradition as an effective democratic political force. As a powerful guide to possibilities, Freedom's Power will provoke just the conversation we badly need about the future of the modern state and the character of a decent politics and society." Ira Katznelson, Ruggles Professor of Political Science and History, Columbia University.